Put July 1, 2018 (Sunday) on your calendar. Practice your lines in the morning and run the race in the afternoon! The shuttle after the race is taken care of by Garrett County College. 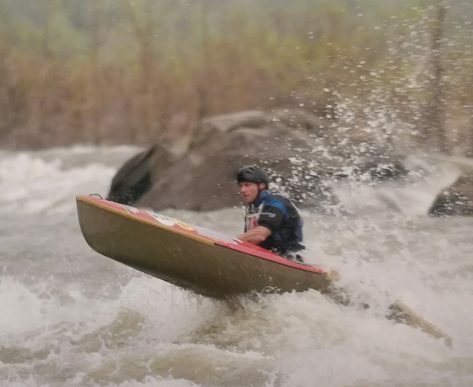 The Savage River, is about 5 miles of non-stop, class III+ whitewater – It takes about 30 minutes to paddle from below the dam to the confluence of the Potomac with many turns and waves. Join us for the fun. There will be an award ceremony after the race near the put-in. This year with the cooperation of Garrett College Adventure Sports, we are bringing back the Savage Downriver Race for the second year! The race will start at 2 PM on Sunday, July 1st. You will be able to register for the race after you have signed in with the ASCI river keepers at the put-in parking lot where the road crosses the river. The race will be timed with one minute intervals. 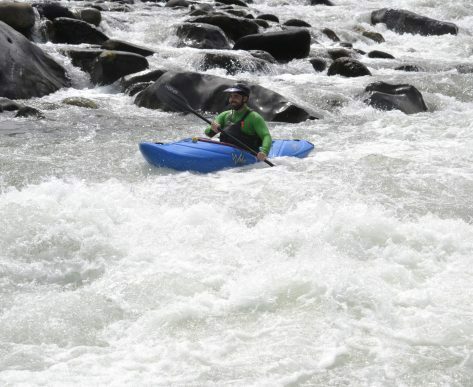 There will be classes for Wildwater boats, long boats and short boats . Since some of you have asked about racing in two classes: There is no certainty that you will be able to race in two classes. Perhaps, if you have your own shuttle driver, you might be able to make it back up to the put-in for a second time before the race has stopped. But the race will end at about 3:30 PM, and after that time there will be no more starts. Back in the Seventies and Eighties, we used to have a Savage River Race every year, and sometimes twice a year. 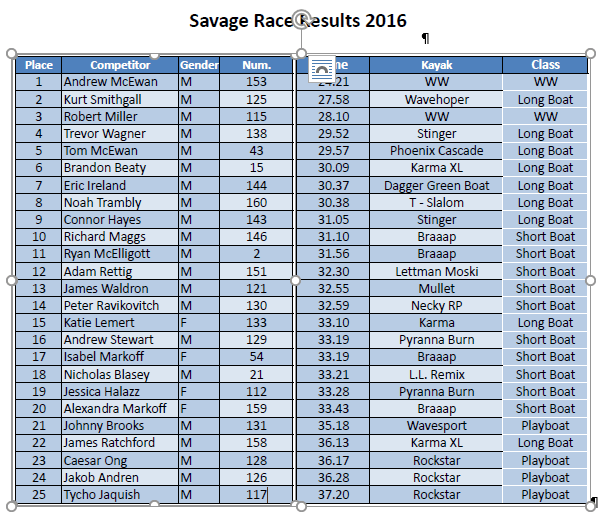 The Savage was a standard for Wildwater racers. And then in 1989 both the Slalom and Downriver World Championships were held on the Savage River. 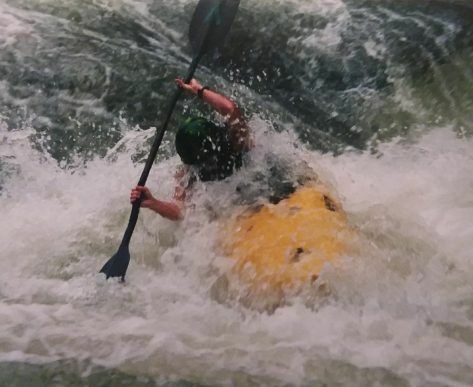 Since then there have been no competitions held on the Savage, and only relatively recently has Garrett College Adventure Sports arranged releases during summer months that allow paddlers access to this amazing river. Come discover what all the hype is about this July!